In my little puddle of vinous life I am becoming aware of the most massive U-turn on the part of an increasing number of thoughtful wine producers. Interestingly, this is nothing to do with marketing but sheer disaffection with the wines they made in the past. Take (Poggiotondo‘s) Alberto Antonini, a respected 55-year-old consultant winemaker with professional qualifications from Bordeaux and UC Davis in California. He has made wine in Argentina, Chile, Spain, South Africa, Canada, Romania, Armenia, Uruguay, Australia, California and his native Italy. He admits: “When I think of what I was saying 20 years ago, it seems like a different planet.” Although trained to make use of all the latest technical advances in winemaking, he has completely revised his views on, for example, suitable ripeness levels of grapes. “When you get over-ripeness, you cover the local character, just like over-extraction [macerating the grape must so long that the fruit is submerged by tough tannins]. Similarly, the use of synthetic products doesn’t help you display nature. The products that you’re taught to use – such as selected yeast, enzymes and various other additives – I have slowly got rid of all of them.” He was talking specifically in this instance about his work in Argentina with Altos Las Hormigas, which he co-owns, and was presenting his wines and thoughts in the company of fellow believers Sebastian Zuccardi and Gabriel Bloise of Chakana, all of them guided by soil expert Pedro Parra. They are all delightedly getting to grips with how very different the wines made from different areas of the high Uco Valley in the Andes can be. “I grew up being told that the New World had no terroir,” laughed Antonini, “but it’s amazing how you realise terroir is everywhere. In just five hectares [12 acres] of Altamira you can find soils that can give you wines worth between $5 and $200. We really want to focus on the purity of local flavours and express terroir in our wines.” Zuccardi, Bloise and Parra were like excited nodding dogs beside him. They are hard at work, in a project led by Laura Catena of the eponymous Argentine wine company, shaping a credible and detailed appellation system for Argentina’s wine province Mendoza. It is not just relative newcomers who are changing their tune. Last week I tasted the latest releases from Moss Wood, founded in Western Australia’s Margaret River in the 1970s with Keith and Clare Mugford, who have been running it since 1984. They too volunteered a change in the way they make their famous whites. They used to make the region’s characteristic blend of Semillon and Sauvignon Blanc in oak, in what Keith Mugford describes, referring to the famous dry white bordeaux, as “Domaine de Chevalier-style” but the wine sees no oak now. Similarly with their Chardonnay, they used to stir the lees feverishly, believing they were copying best burgundian practice. But when they asked a panel of respected palates to assess all vintages of their Chardonnay to establish which were classic Moss Wood: “Everyone agreed that the great years stood out and had nothing to do with the winemaking. 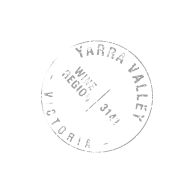 The more you fiddle around with winemaking techniques, the more you will minimise the vineyard’s individual stamp,” says Keith Mugford. Nor is this phenomenon by any means restricted to the New World. Someone as far-sighted as Gérard Gauby of Roussillon was revising his conception of ripeness and balance in wines as long ago as the late 1990s. I recently came across a fascinating pair of wines from the Spanish region of Valencia, made by Celler del Roure, about 50km inland on about the same latitude as Ibiza. The owner Pablo Calatayud and his appropriately named winemaker Javier Revert did very well commercially when exporting dramatically styled reds and whites to the US but were frustrated by the way that oak ageing, while endowing the wines with useful structure, robbed them of their freshness, elegance and local character. Over the past five years they have been experimenting with a reversion to tinajas, the large clay jars once used for winemaking in this part of the world. The results are delicious: chock-full of personality but accessible and expressive rather than overlaid with oak flavour. Sadie mused to me: “I do wonder how my wines would have been with only half the new wood I used in the past.” I have written here before about the extent to which winemakers all over the world are using fewer new barrels, and larger sizes. I do hope the coopers, who did so well in the late 20th century, are now diversifying into clay and concrete.